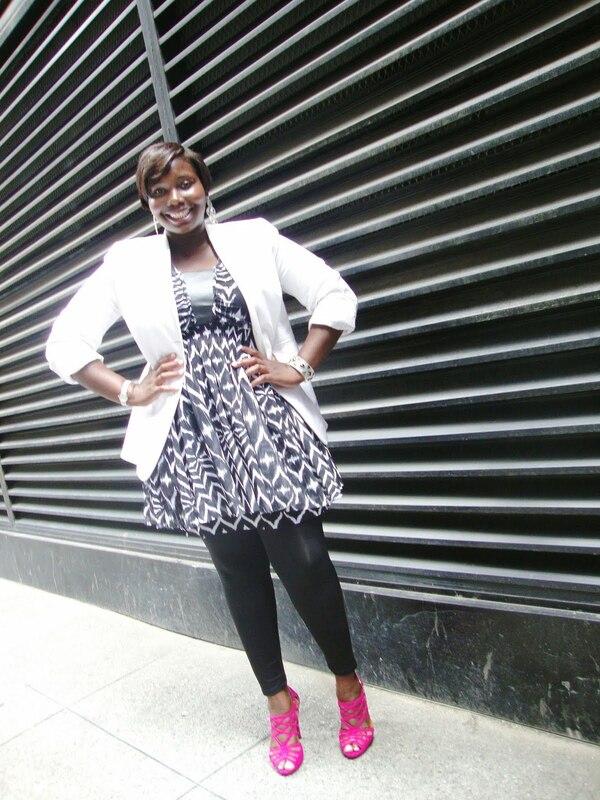 Lately I have been picking up some pretty cute versatile pieces from some of my favorite clothing stores. While cleaning out my closet I realized that a lot of the pieces that I’ve been purchasing have been gray with accents of white and black. Normally, I’m all about color, but, in these pieces, I just loved all the cute little details in them. I am madly in love with these black lace detailed Betsey Johnson lace up peep toe booties. I have worn them numerous times. They just add a bit of edginess to everything I wear them with. I got this biker jacket back in August from Old Navy and was dying to wear it. Now that it’s officially Fall and the weather is cooler, I’ve been able to wear it and it goes well with a number of pieces in my closet. 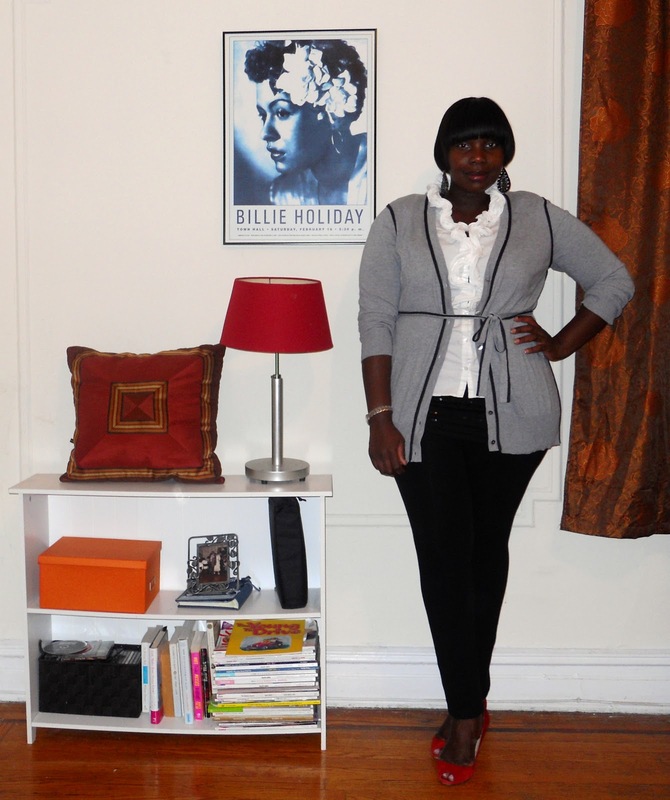 Another Loft purchase was this gray cardigan with black piping. I actually waited until this sucker went on sale. I just thought it was so adorable and different from all the other cardigans and scooped it up as soon as I saw it went on sale. I wear this one all the time with everything.